Memories. It is the day of love, so make your gift about the love and memories you share. Even if sentimentality isn’t your thing, today is the proper day to be a bit mushy. Choose a gift that celebrates the little things you and your partner share – the inside jokes, your song or the first meal you shared. Whew! Well, we made it through another holiday season. So how are you feeling? Are you ready to take on the new year? Or are you finding that the pre-season Grinch is back? With all the fun and joy of the holidays, it can still be tiring. And you may be feeling a little let down. Is it back to the same old grind? Even if you are returning to the same routine you had before the holidays, you can approach it with a new attitude. A new year is a time for inspiration. Now is the time to show yourself and others that the holiday spirit is still alive and well. The holiday season is often referred to as the giving season – and it should be. But it can also be considered the sharing season. Sometimes in the hustle and bustle, it is almost as if we give without much thought. 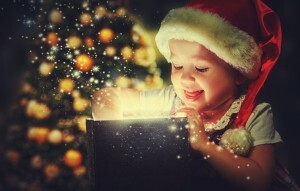 The magic of the season comes when we take the time to share the true spirit of the season. Share a smile. This year while you are out and about, smile. Smiles really are contagious and can lift the spirits of both the giver and the receiver. See how many smiles you can share. When meeting with a client, customer or potential prospect it is easy to fall into the “forget the rest, just impress” mentality. This type of attitude is common when meeting with someone you want to do business with. A conversation that is meant to build and strengthen trust, loyalty, brand awareness and a relationship suddenly turns into a “showcase” of how great you are. Have you ever gone in for a job interview and noticed that the interviewer asks you some questions pertinent to your resume but mainly asks you about who you are, your goals, dreams and hobbies that bring meaning to your life? Yes, your resume is stellar, full of impressive facts, figures and data (which is what landed you the interview in the first place), but they want to know you, the real you; see your personality “off” paper.